Content .. 31 32 33 34 ..
1. 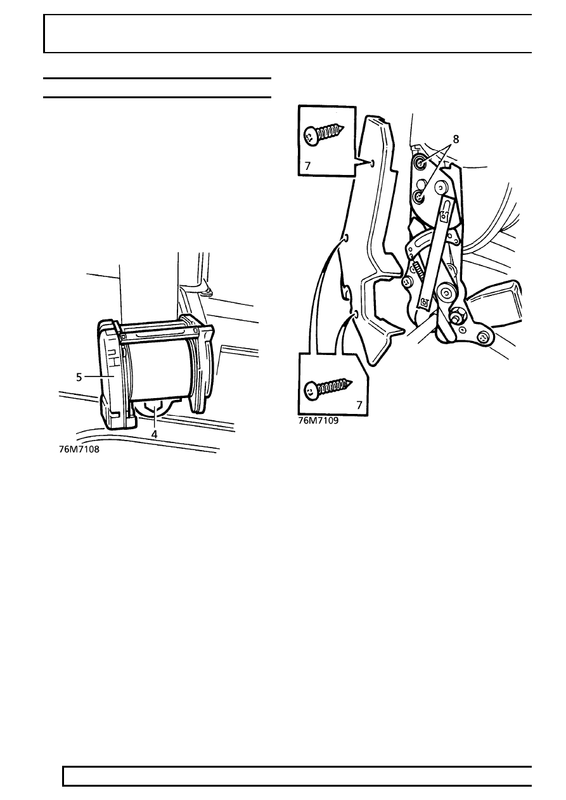 Remove parcel shelf support trim. 2. Remove ’D’ post lower trim. 4. 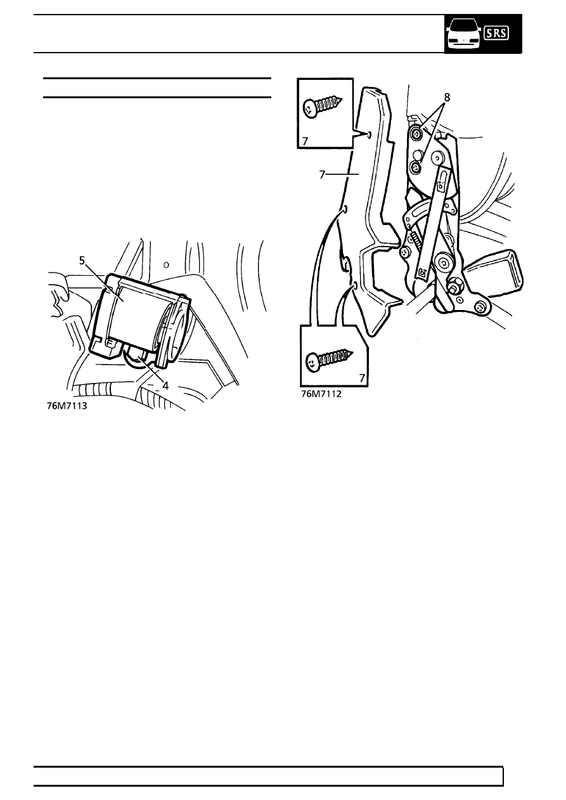 Remove bolt securing seat belt reel. 5. 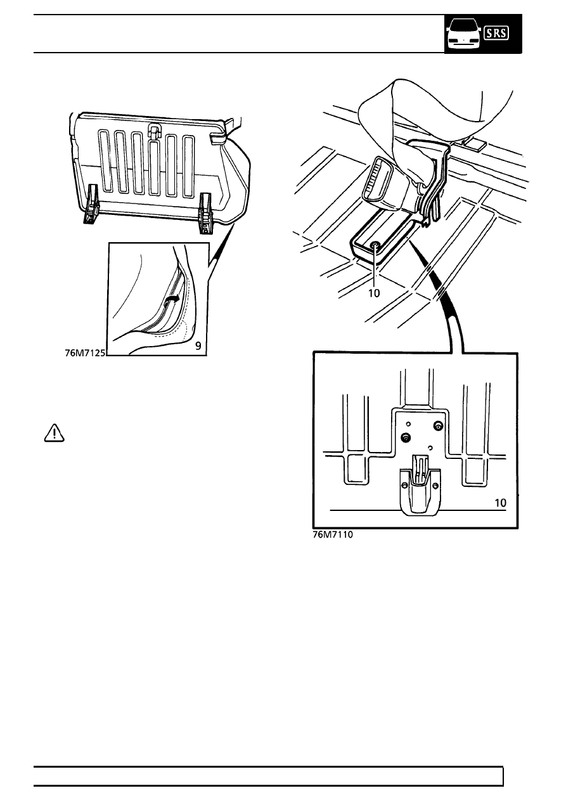 Remove seat belt reel. 6. Remove left hand rear seat. 7. Remove 3 screws securing squab hinge cover. 9. Remove squab from cushion assembly. 11. Remove stalk. Collect plain washer. 18. Fit ’D’ post lower trim. 19. 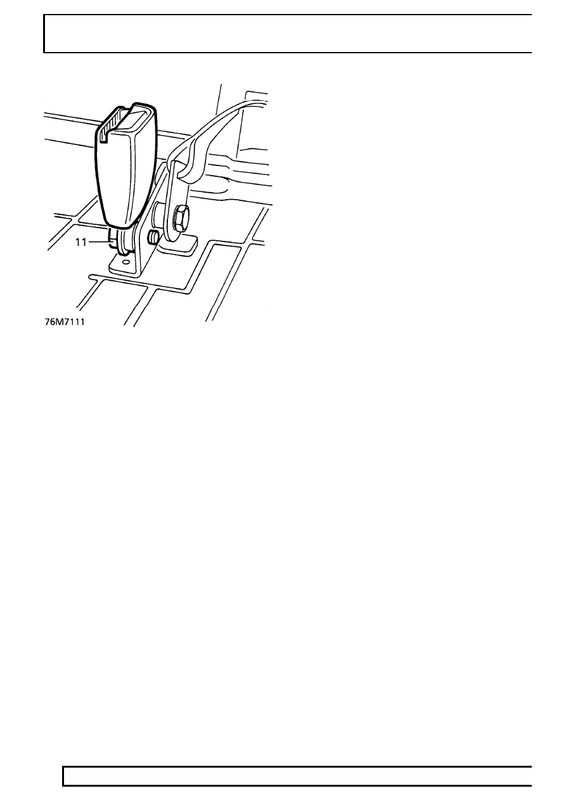 Fit parcel shelf support trim. 6. Remove right hand rear seat. stalk. Collect 2 spacers and wave washer. 15. Fit stalk to squab hinge. Secure with bolt. 16. Position seat squab to cushion assembly. 17. Refit squab hinge cover. Secure with screws. 18. Refit rear seat assembly. 21. Fit ’D’ post lower trim. 22. Fit parcel shelf support trim.